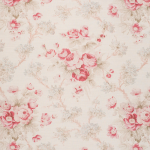 Bennison Fabrics and Wallpaper are based on the designs of the original 18th and 19th Century English and French textiles. Geoffrey Bennison created a unique collection of fabrics and wallpapers from his experience in the antiques and decorating business. Hand drawing and silkscreen printing are the hallmarks of this fine English company. Exclusive linens and silks woven and dyed receive their artistic treatments producing breath-taking fabrics and wallpapers that must be seen. The hand-printed designs can be custom color matched to a client’s specifications, including our renowned fading technique. Bennison trimmings feature knotted tassles and textured cord made from combinations of wool, flax or silk in six color combinations to match Bennison’s pigments. 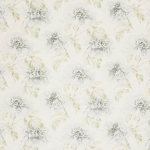 #1Fabric Co would like to be your Bennison fabric and wallpaper supplier. Please call 877-FAB-2-YOU. 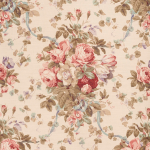 Are you looking for a specific pattern from Bennison Fabrics? All Bennison Fabrics are available for purchase through #1 Fabric Co.
#1 Fabric Co makes decorating with designers materials affordable. Buy the same decorator textiles the professional interior designers buy at the lowest possible sale prices. #1 Fabric Co, who sells all selections to the public as well as installation products you may need, can ship directly to your home or installer, and as always, purchases over two hundred dollars receive free shipping in the continental U.S. Note: Our fabrics are NOT factory seconds, over-stock, remnants or discontinued fabric. Your pricing from #1 Fabric store will be on a new, current, first-run fabric at the lowest price. back for the lowest price available on the internet!